Teledyne DALSA’s new low-cost BOA Spot XL vision sensors are designed for error proofing, identification, general inspection, and robot guidance. BOA Spot XL is supplied with integrated LED lighting, lens, and easy-to-use application software. 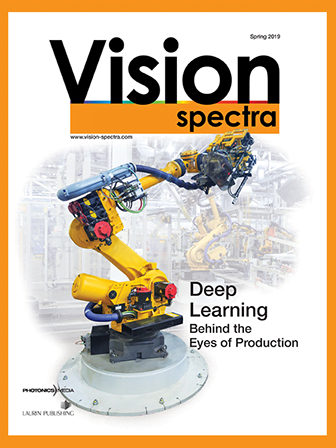 Embedded vision tools include positioning, part locating, pattern matching, measuring, and defect detection and identifying, including automatic reading of characters (OCR) based on a pre-trained AI inference network. Additional features include extensive image preprocessors and advanced calibration for image correction and system coordinate mapping. When you click "Send Request", we will send the contact details you supply to Teledyne DALSA, North American Sales Office so they may respond to your inquiry directly.